The generosity of Christ shines through in our Gospel today when He speaks of Himself as a Good Shepherd who defends His flock at all times. He even lays down His life rather than abandon them to danger. This familiar pastoral image of a heroic shepherd totally devoted to the welfare of his sheep is Christ’s way of explaining how great is His love for us, His brothers and sisters. It is a love that has no limits, and it is a love of which the apostle John speaks about in our second reading. Christ has left the Church the task of telling the world the story of His love. He has always called other shepherds in every age and season to feed and nourish His people by proclaiming the Gospel and celebrating His life-giving sacraments, especially the Holy Eucharist. So it is that the Church worldwide calls upon each one of us today to pray earnestly to the Father to send us new shepherds after the heart of Christ. This is Good Shepherd Sunday and so every single one of us has the obligation to pray insistently that we will have priestly shepherds for tomorrow. As you must be aware, dear brothers and sisters, we are experiencing a time of need in our Diocese of Lancaster where priestly vocations are concerned. The diminishing number of priests and seminarians has meant the merger and linking of parishes, a process that is far from finished. In his message for this Sunday, Pope Francis urges young people to be bold and courageous in answering the Lord’s call. 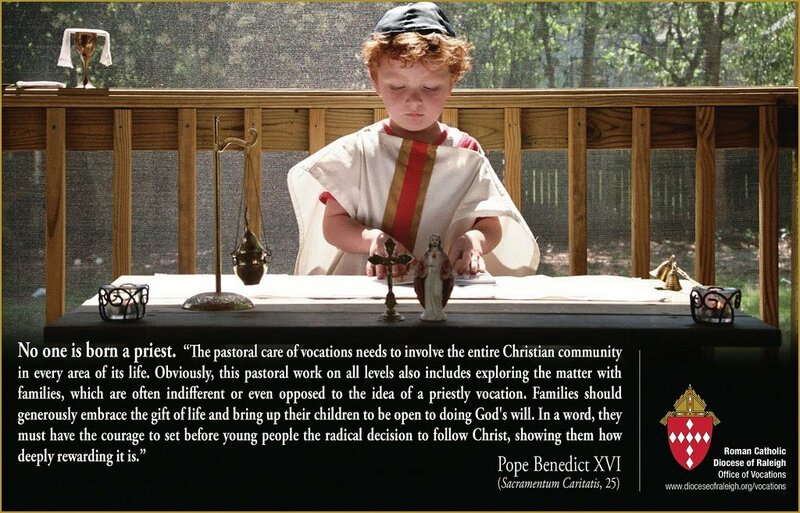 Young people need our help too in the Church – let all of us – parents, grandparents, teachers, priests, religious and laity, encourage and promote those considering a vocation and never hold them back with our own anxiety and discouragement. God will reward their generosity – and ours – in ways we can only imagine. The Church has always turned to Our Blessed Lady in times of challenge and need. Mary’s response to God’s invitation was total, and her faith and love gave the world Jesus Christ, our Lord and saviour. 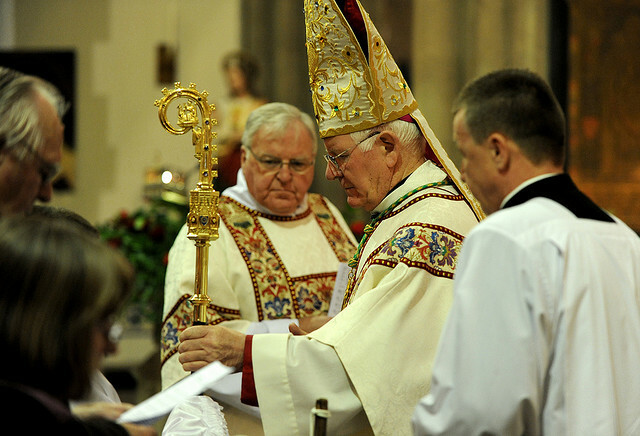 With the powerful assistance of her prayers, joined to ours, may the Lord look kindly on His Church and upon our Diocese of Lancaster in particular, and send us sufficient priestly and heroic shepherds to care for and feed the flock He has redeemed with His blood. 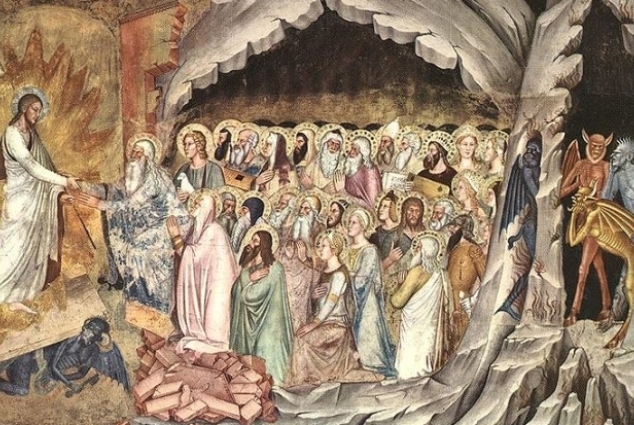 Today, Holy Saturday, the Church contemplates in silence the well-nigh imponderable mystery which is one of the articles of the Apostles Creed: He descended into Hell. The Scriptures are very reticent when referring to the interval between the Lord’s death on the cross and his resurrection. In this connection, the apostle Peter states that “…made alive in the spirit, he went and preached to the spirits in prison” (1Peter 3:19). 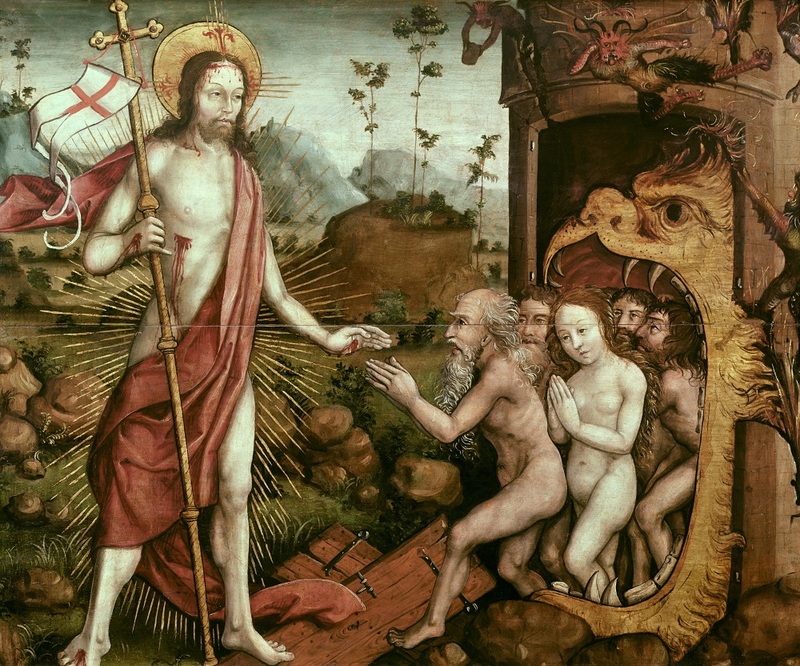 An early unknown Christian author part of whose sermon we read in the breviary on Holy Saturday speaks of Christ going to call Adam forth to new life. 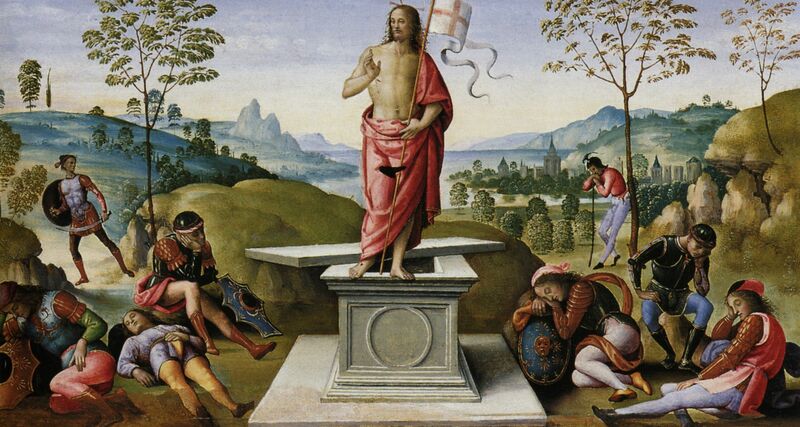 What is implied here is the life-giving power of Christ gained through his triumph on the cross; where Adam the first man once failed, and with him the whole human race, Christ the life-giving second Adam is now victorious. 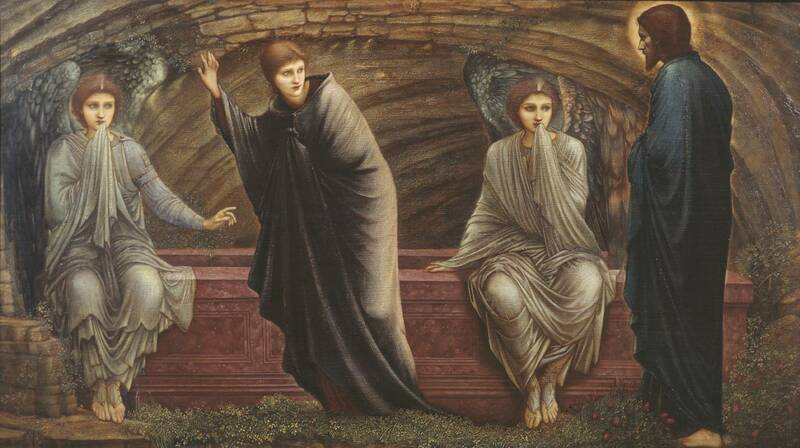 Our human limitation does not allow us to penetrate this mystery of Christ in the tomb and his descent into Hell, but which is clearly not the ‘Hell of the damned.’ We can only wonder in prayerful silence this day as we place ourselves in spirit outside the tomb of the Lord where his body lay. 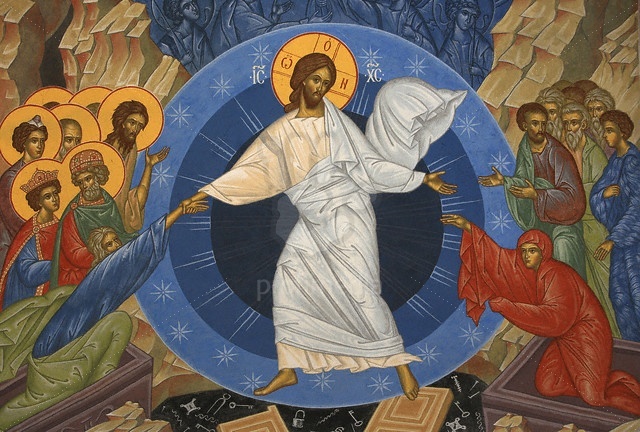 The ancient author exclaims, ‘The earth is hushed as it waits!’ A reassuring thought for us mortals and believers is that the Son of God plumbed the full depths of our humanity and was once laid to rest in a tomb, in a garden in ancient Jerusalem. He too experienced the agony of death and the bonds of mortality. 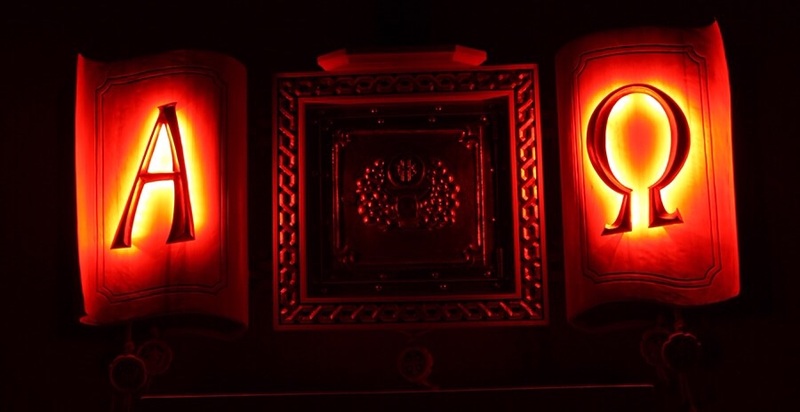 As we go through life and the loss of loved ones, those dear to us, this loss is immeasurably tempered by the conviction expressed in the prayer of the psalmist and which ultimately refers to Christ: “For you will not abandon my soul to Hades, not let your Holy One see corruption (Ps. 16:10). The apostle Peter chose to quote the words of this psalm in his first sermon on Pentecost Day. 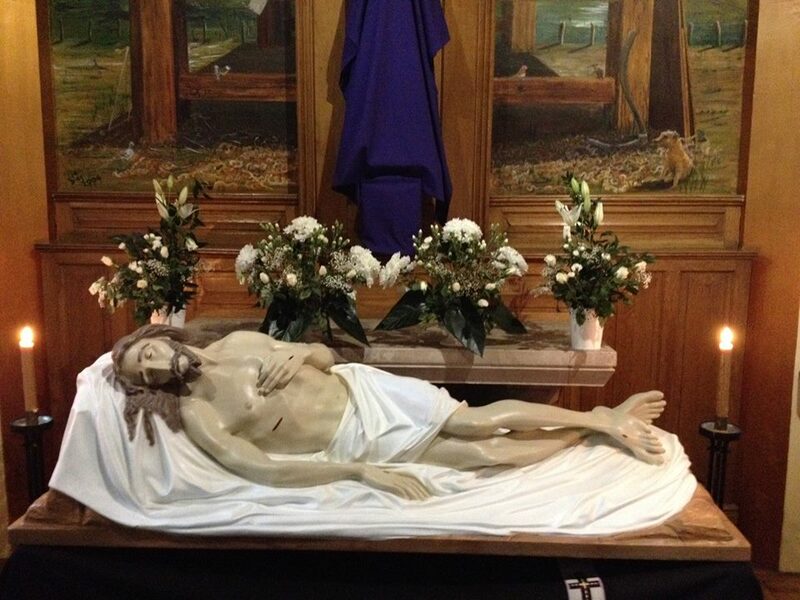 Holy Saturday therefore places us before the mystery of God and his unfathomable ways. We bow the knee before what lies beyond us and accept humbly the truth of the death, burial and resurrection of his beloved Son, Jesus Christ. 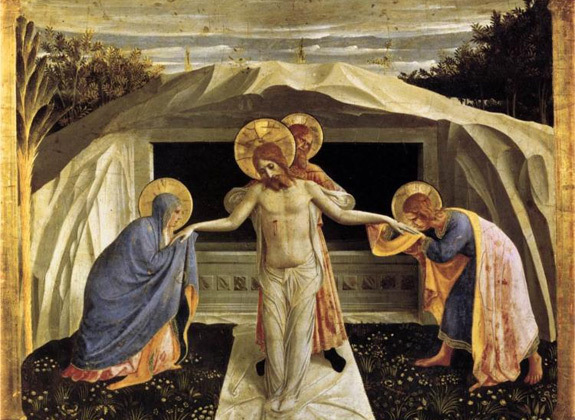 The silence and the stillness which mark Holy Saturday will give way at the Easter Vigil to unbounded joy and to the realisation that God has not allowed his Holy One to see the corruption of the grace. The tyranny of Satan and the power of death have been vanquished once and for all. 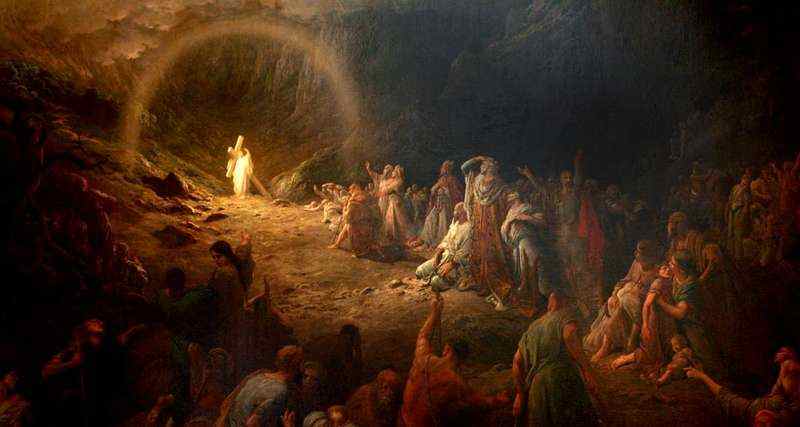 The Father has vindicated his Son’s loving obedience to death on a cross and has raised him to Easter glory. 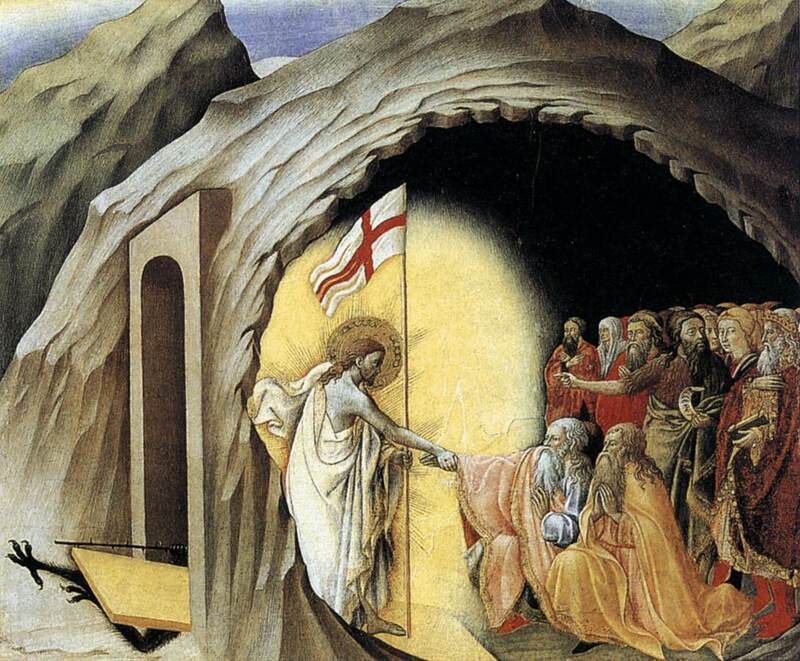 Wishing everyone a happy Easter and the abundant joy of the risen Lord and thank you for your great support in the last week! P.S. 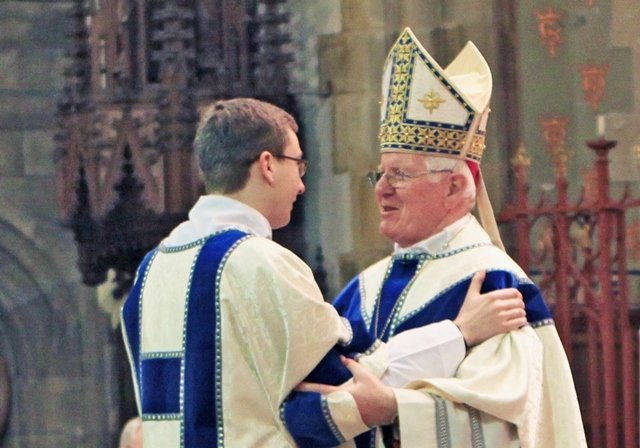 The Bishop’s Blog is now on a break until 18 April.